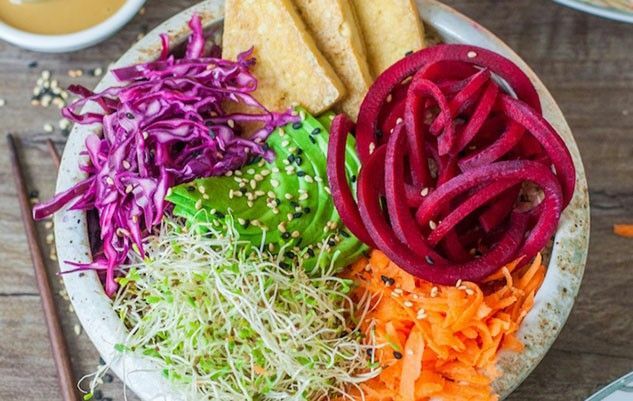 Have you ever heard of a Buddha Bowl? It might sound like a Far East treasure, but it’s actually much less exotic than you think. Buddha Bowls are essentially balanced meals planned around a hearty grain and veggies. In fact, you can think of them as a decomposed grain-based salad! While you can find them for sale, it’s much easier and simpler to create them yourself. They’re endlessly customisable. 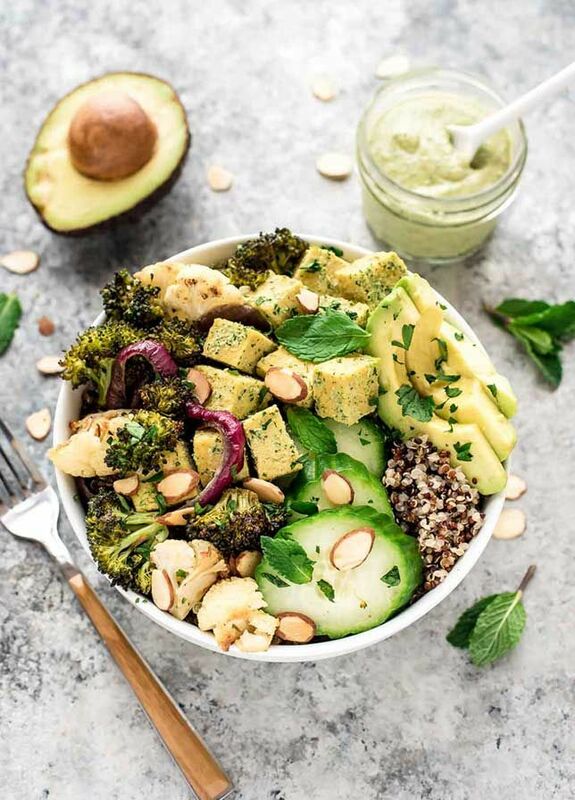 To get you started, we’ve chosen our favourite Buddha Bowls from around the web! Healthy and delicious, Buddha Bowls and dragon bowls are THE new fad, and at SOSCuisine, we’re absolutely convinced! These recipes are super appetising because they mix raw and cooked ingredients for a beautiful composed dish full of colour, texture, fibre, and vitamins. Plus, these dragon bowls are totally easy to make. All you really need to do is assemble your favourites in a bowl. They make great lunches too. And as an added bonus, they’re a great way to learn how to cook vegan and vegetarian. Vegetables: Your bowl should be about 2/3 veggies, whether it’s grilled broccoli or cauliflower, or raw julienned vegetables, avocado in slices, lettuce, bean sprouts or anything else you like… Let your imagination guide you! You can even add fruit, like grapefruit (like in #4) or pomegranate. Grains: The other third of your bowl has to be made up of grains and proteins. Opt for whole grains. Whole rice and quinoa are the grains most frequently used in dragon bowls, but don’t be scared of trying barley, millet, and even buckwheat. Proteins: Choose vegetable proteins, cheese, or eggs. For vegetable protein, there are tons of options: legumes (beans, lentils, etc), tofu, tempeh, edamame, peanuts, almonds, etc. You can even use a combination of different proteins in the same bowl. Dressing: You can use any dressing that complements your ingredients. Purists use a dressing that contains nutritional yeast, which has a particular flavour, similar to a nutty cheese. Nutritional yeast can be found in health food stores, and it’s enough to add a few flakes to whichever dressing you choose to give your meal that Buddha Bowl flavour. 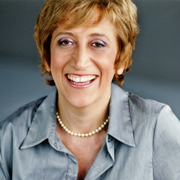 Nutritional yeast is rich in B vitamins, making it an excellent food choice for vegetarians. Presentation: For bowls as gorgeous as the ones we’ve found, you’re encouraged to add garnishes for a little extra oomph. You can use anything from micro-greens to fresh herbs, nuts and seeds, and even edible flowers. Choose a cute bowl for the complete experience, and enjoy your Buddha bowl with a nice slice of bread on the side. To inspire you, here are our top 10 picks from around the web! 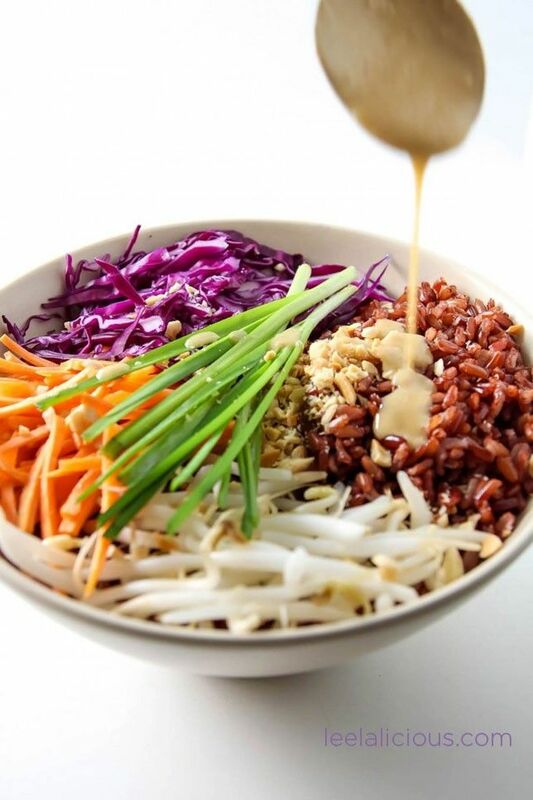 Our list starts off with this amazing Thai inspired bowl, full of great Asian flavours. It’s made with naturally gluten-free ingredients and is adaptable to many diets, including vegan. We especially love the inclusion of purple cabbage, which is not only flavourful, but a great alternative to lettuce. This bowl is rich in fibre as well, for a really well-balanced healthy meal. This gorgeous green bowl features tons of great roasted veggies. If you love broccoli and cauliflower, this one is for you. They’re rich in vitamins and roasting them brings out sweet, nutty flavours that work perfectly with the baked tofu and almonds. 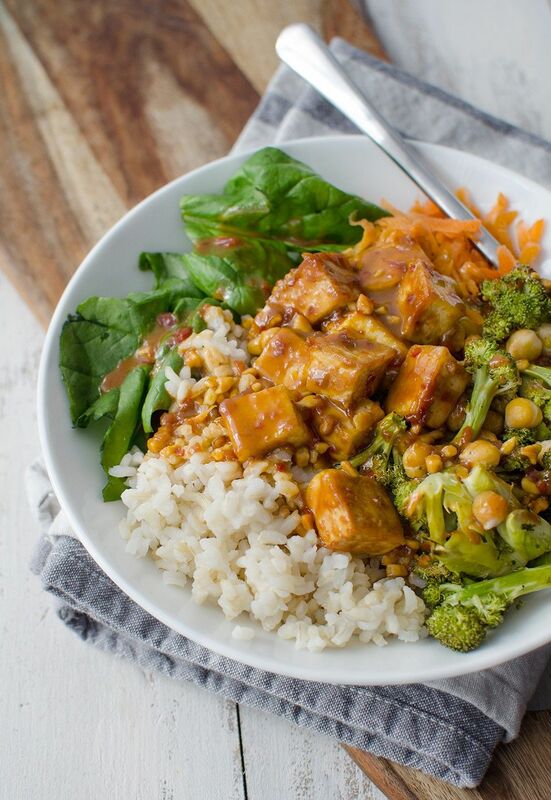 Peanut sauce is always delicious, so why not have it in a Buddha bowl? This one uses yummy roasted veggies, broccoli, and brown rice. It’s super simple and you can try the sauce out on rice noodles too! I find it very hard to make healthy meal choices when, because of blood coagulation problems, I am supposed to avoid or heavily reduce green leafy vegetables such as broccoli, cabbage, spinach, kale, etc. This issue seems to be rarely addressed — and I’m sure many readers or website searchers would love to see some suggestions about alternatives. Thanks for the suggestion. We will write about it in the next few weeks. For the person with blood coagulation issues if it is related to taking blood thinners ( warfarin, Coumadin) the good news is you do not have to avoid or reduce leafy green vegetables in your diet. You do have to be consistent with the amount you eat. So it is not advisable to have a two cups of spinach salad one day and none the next. Even physicians will tell patients to avoid the dark green vegetables when taking anticoagulants yet the drug manufactures have booklets available to help patients understand how to include these veggies in their diet.. Often anticoagulant therapy is given to those with hypertension or cardiac issues the very patients who would benefit from the nutrients in leafy greens. Before removing any important food group from the diet a registered dietitian can help guide you in creating a healthy and safe meal plan.